Traffic momentarily backed up along the main road in Fish Bay after a truck transporting lumber and other hardware overturned in the area. When BVI News visited the area, the truck had been righted and removed. 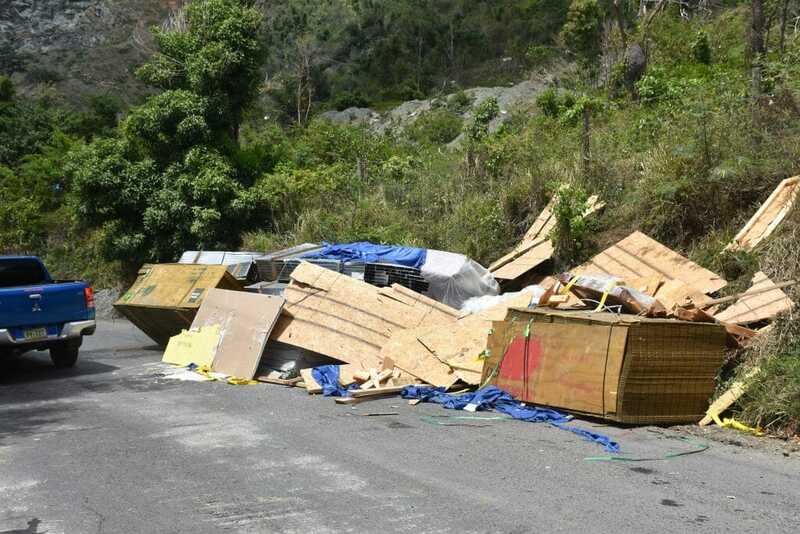 But, the cargo that also toppled was seen blocking a section of the thoroughfare. Workmen were seen directing traffic while others tried to remove the materials.